Bad Ischl is visited throughout the year by guests from all over the world. Set in the heart of beautiful countryside, this historic thermal spa town has a great deal to offer. The town's fame comes from its associations with the Austrian Royal family. Kaiser Franz Joseph and "Sissy" his wife made it their summer home for over 80 years living at the Kaiservilla. When they were in town, so were the rich and famous of their age including Lehar, Oscar Strauss, Bruckner and most of the crowned heads of Europe. They visited the Lehar Theatre and Kurhaus and played golf at the Salzkammergut Golf Club. Present day Bad Ischl is a pleasant mix of old world charm and modern facilities. Centrally located to enjoy all the Salzkammergut region - lakes in summer and skiing in winter. 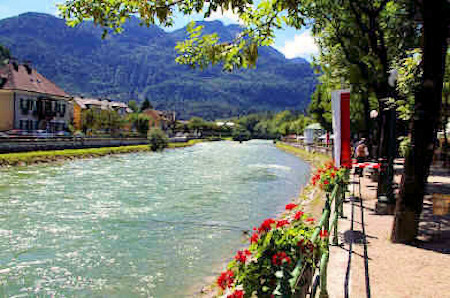 Bad Ischl has much to offer property investors abroad. Prices are competitive when compared to some of the property hot spots of Europe. It is also an ideal location for those looking to relocate to Austria as the town has an excellent infrastructure. 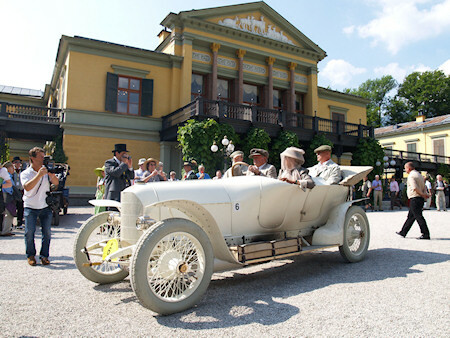 The Kaiservilla is open to the public. Each year the town celebrates it's historic links to the Austrian Royal family with the Kaiserfest in August each year. Set in the middle of stunning mountain scenery the town is a centre of cultural events, with concerts throughout the year. Each summer it is home to the Lehar Festival of Operetta. You can also visit the Lehar Villa, his summer home in Bad Ischl. Pavement cafés, high quality shopping and a visit to Zauner's Konditorei all add to the charm of the town. The Eurotherme thermal baths offer top quality spa, health and beauty facilities throughout the year. The town is also excellent for all kinds of activities:- walking and cycling, ski touring on the Katrinalm, cross country skiing at Rettenbachalm and the Golf Course ,horse riding, ice skating, curling, swimming and Golf. The first class Salzkammergut Golf course is on the edge of Bad Ischl and there are 15 others in the area including at Fuschl, Bad Aussee and Mondsee. The lakes of the Salzkammergut are a short drive away and in winter there is extensive downhill skiing about 30 minutes away at Dachstein West, Postalm, Dachstein Krippenstein and Feuerkoegel. Aigen Voglhub and Ramsau lie between the historic spa town of Bad Ischl and the village of Strobl on Lake Wolfgang. Set in a flat valley there are wonderful views of the mountains across to the Schafberg high above St Wolfgang. 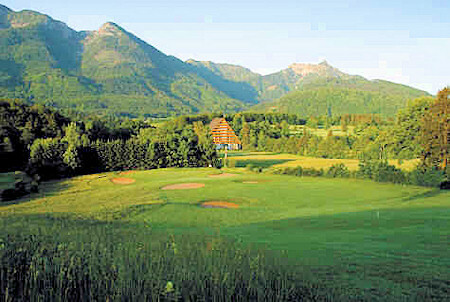 The Salzkammergut Golf course is a few minutes drive away and offers first class facilities. Easy access to the lakes of the Salzkammergut and winter skiing at Postalm and Dachstein West. Accommodation is speard over two floors. The attic area is also used as living space. A rare find at this price these days. Recently renovated studio apartment ideal for holiday use. Second floor location in a nice residential part of town. Exclusive new development with just 4 Apartments. New build apartment in an exclusive development of just 4 Apartments. New build apartment in an exclusive development of just 4 Apartments .